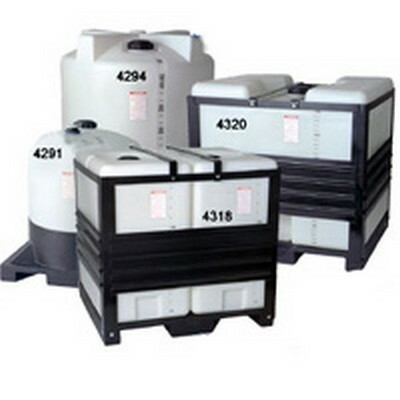 300 Gallon Pallet-Pak (2 Tanks, Pallet and Frame) 50" x 43" x 47" | U.S. 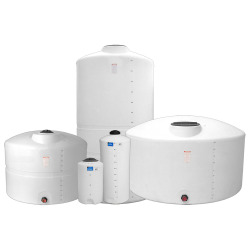 Plastic Corp.
HomeTanks & Accessories IBC Totes, Pallet Tanks & Accessories Pallet Paks 300 Gallon Pallet-Pak (2 Tanks, Pallet and Frame) 50" x 43" x 47"
300 Gallon Pallet-Pak (2 Tanks, Pallet and Frame) 50" x 43" x 47"
This Pallet-Pak has two 150 gallon tanks that are 24" wide, 40" long and 42" high. The tank and pallet are 50" wide, 43" long and 47" high. Each tank has a 2"FNPT fitting installed on the side and a 7" lid. Overall weight is 356 lbs. 150 Gallon Rectangular Pallet Tank Only 24" x 40" x 42"
300 Gallon Rectangular Pallet Tank Only 48" x 40" x 42"
110 Gallon Pallet-Pak (Pallet and Tank) 33" x 40" x 44"
210 Gallon Pallet-Pak(Pallet and Tank) 41" x 52"
300 Gallon Pallet-Pak (1 Tank, Pallet, and Frame) 50" x 43" x 47"
150 Gallon Pallet Pak (1 Tank, Pallet, and Frame) 26" x 43" x 47"